NEW VERSION OF OUR PHASED ARRAY SOFTWARE AVAILABLE SOON! A new version of our Phased Array software will be available soon. Major changes and new features will be available. For a preview of the upcoming version, visit our products page here to download the brochure or contact us now. ROAD SURFACE SOUND ABSORPTION (ROSSA) SYSTEM NOW AVAILABLE! 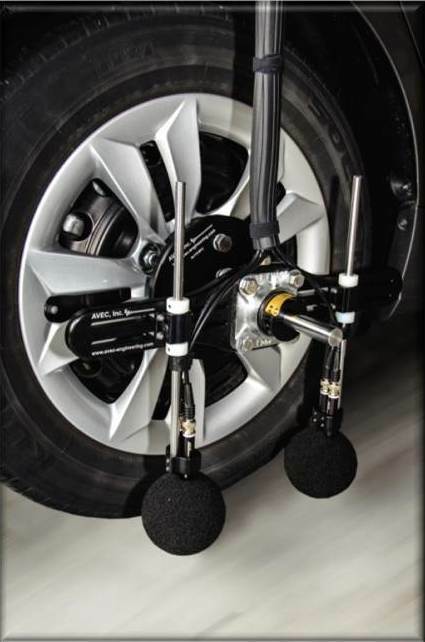 AVEC, Inc. developed the ROSSA (Road Surface Sound Absorption) system, a convenient tool to measure pavement sound absorption properties. The hardware and software specifications are based on the latest ISO standard. Please click here for more information or contact us now. 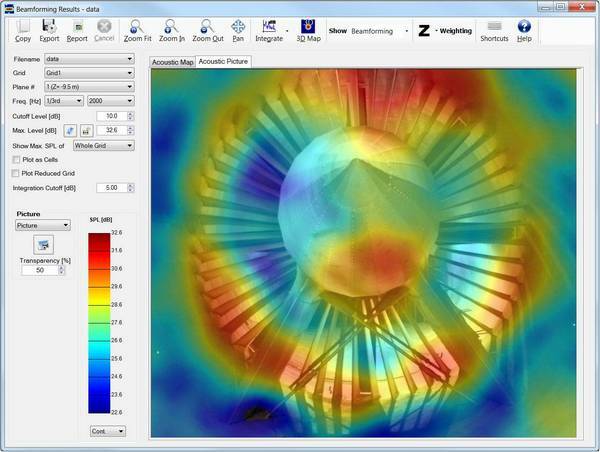 TIME DOMAIN PHASED ARRAY SOFTWARE FOR FLIGHT TESTS NOW AVAILABLE! 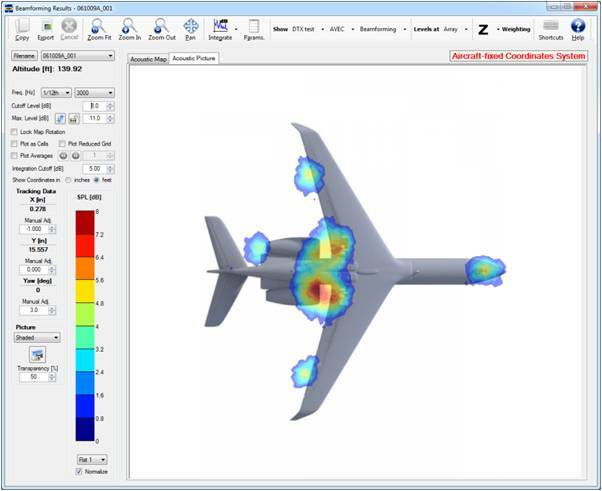 AVEC has developed a state-of-the-art phased array software for flight tests. Features include several options for aircraft tracking (GPS, line cameras, manual triggers), data pre-processing module to check all microphones signals simultaneously, deconvolution, directivity calculations, EPNL estimation, and automatic report generation (including word processor, slides, JPEG and HTML formats), among other features. The software can also be customized to meet any customer needs. Please click here to visit the products page and download a brochure or contact us now. We would like to invite you to our booth at the 9th International Conference on Managing Pavement Assets to be held in the Washington, DC metropolitan area May 18-21, 2015. We will be demonstrating our turn-key solution for On-Board Sound Intensity measurements using our OBSI system hardware and software. 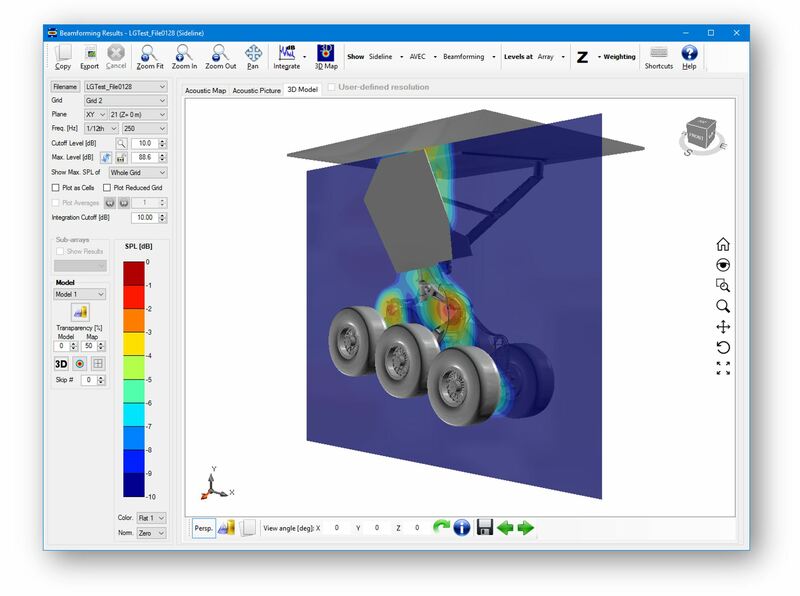 AVEC PHASED ARRAY SOFTWARE VERSION 4.0 NOW AVAILABLE! Version 4.0 of AVEC's phased array software is now available. In this new release (2015), several new features, processing and deconvolution options have been added. Please come back soon to download the new brochure. You can also download the brochure for version 2.0, including detailed information of the software capabilities, in our products page or contact us. 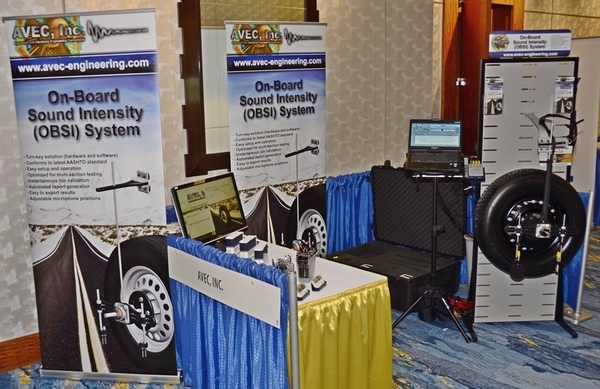 AVEC, Inc. has developed an On-Board Sound Intensity (OBSI) system based on the current AASHTO standard (TP 76-13). The OBSI software is the core of the system, designed with ease of use as the main priority. The layout and functionality reduce user interaction required during the test, and thus help minimize test time. Features like instant run validation and multi-section testing provide a hassle-free user experience. The software can also be customized to meet any customer needs. A brochure can be downloaded in our products page or contact us for more information.